Developed to captivate High Definition viewers, Scenic Hawaii showcases everything that is beautiful about Hawai’i. Broadcast statewide via Oceanic Time Warner Cable, this unique platform is accesible to millions of visitors and hundreds of thousands of households annually. 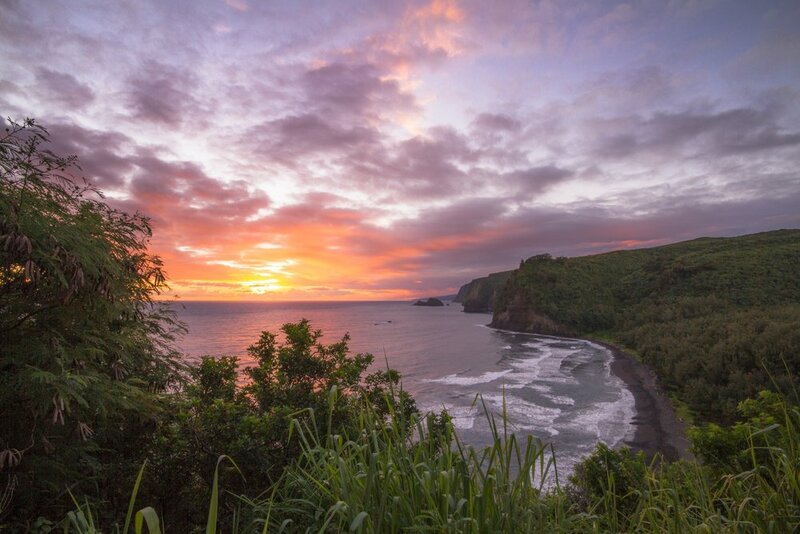 From Kauai's verdant grandeur to Oahu’s striking contrasts, Lana’i and Moloka’i’s off-beat charms, Maui’s undeniable magic and the Big Island of Hawai’i’s explosive past. scenicHawai’i, a virtual, visual tour around these Hawaiian Islands that so many love. Approximately 6-hours of viewing per cycle repeating 4 times daily, Scenic Hawai'i highlights the unique qualities and distinctive differences of each Hawaiian Island. Programming is structured geographically by island, featuring Kaua'i, Oahu, Maui, Moloka'i & Lana'i and the Big Island of Hawai'i. Paradise Television Network has taken scenicHawai’i’s 6-hour program and packaged a condensed 90-minute program for retail sale. This has allowed us the opportunity to know where our signal is being delivered as well as to query viewers directly about the program and its impact. What we hear over and over again from viewers is how beautiful, relaxing and captivating the programming is, and the fact that it’s not “cluttered” with commercials. Our research shows that this keeps our loyal viewers tuned in for a longer period of time than traditional cable or network viewing patterns, with some viewers confiding that they leave scenicHawai’i on all day long. We understand that if we provide our viewers with programming that they can’t find elsewhere, we will continually secure a large audience of loyal viewers. With this in mind, Paradise Television Network is going somewhat “outside the box” regarding scenicHawai’i advertising. Based on our extensive research of viewing preferences and patterns, we are poised to offer a non-traditional and exclusive package to a select and limited number of advertisers. We are accepting only 15 advertisers in total for our six (6) hour programming, making advertising on scenicHawai’i exclusive. As the programming is looped, your commercial will air four times daily, for a total of 120 times each month. Minimum length of commercials offered will be sixty (60) seconds. scenicHawai’i is transmitted to approximately 200,000 local residence statewide (44%) and approximately 48,542 resorts, condominiums, and timeshare units (74%). The program is broadcast continuously on monitors of countless businesses statewide.